Today we ask ‘Is Personalisation the Key to Millennial Engagement?’ Millennials, or Generation Y, are the most influential generation in the UK. Born anywhere between the early 1980s and the early 2000s they’ve grown up in a digital world. Being constantly connected to friends and family, millennials will talk about your brand online; but when it comes to any brand loyalty they can be fickle. Personalisation could be key to engaging millennials. It is important to keep them engaged with your brand and therefore increasing the likelihood of brand loyalty. 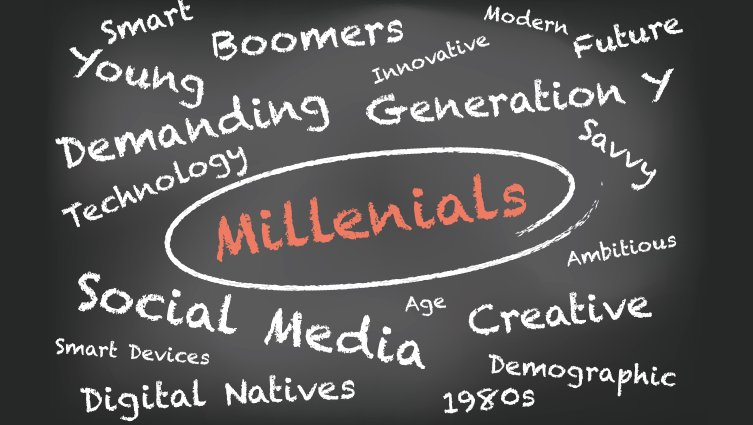 Millennials have grown up in a digital world that is constantly changing and evolving. This generation expect accurate and relevant targeting when it comes to marketing. Marketing to millennials is a new territory for marketers and brands as they are unlike any previous generation. Social media is the most powerful marketing tool to reach millennials. Traditional marketing methods such as TV advertising has very little effect on this generation. Few watch TV from boxsets, they consume their TV viewing on mobile devices through downloads and streaming services, which often come without adverts (or the ability to skip). One of the most successful personalised marketing campaigns in recent years is the ‘share a coke’ campaign. Where Coca-Cola replaced its usual branding with 150 of the UK’s most popular names. They used the hashtag #shareacoke to encourage consumers to talk about the brand online. While a relatively simple campaign, the ‘share a coke’ campaign saw some impressive results. The campaign earned millions of media impressions and increased traffic, visits and following of the Coca-Cola social media channels. Since the success of the campaign, we have since seen many other big brands follow suit with Marmite and Nutella offering personalised packaging. Running a personalised campaign that drives conversations via social media is a great way of engaging millennials. Social media can be used to increase reach and raise awareness of your brand amongst the most influential generation. Personalisation can not only be used online or just via social media. Think about any type of communication you have with your existing and potential customers, whether that is via email, mobile message or direct mail, consider if personalisation could be used. For example, using data such as the customer’s name in any email and mobile message communication, makes the message feel less like spam. Personalisation makes the customer feel unique in comparison to a message that starts with a generic greeting. Are you running or considering a direct mail campaign? Think about the ways in which you could personalise the campaign. Look at the data you have for your mailing list, this could be their gender, age, name, location and purchase history. Variable data printing can be used to create personalised and customer focused materials for your customers. Linking your marketing database to your marketing materials allows you to tailor the content to the profile of each recipient. VDP is commonly used on letters, envelopes, leaflets, mailers and promotional offers. It can include name and address changes, targeting within postcode, segmentation by gender and mailing relevant offers based on recent purchasing history. Personalisation sets your communication apart from the typical marketing materials millennials are used to receiving. It keeps your brand top of mind and on the tip of their tongue. If you would like to find out more about personalisation to improve Millennial Engagement, or any other sector, get in touch on 01527 517309 or fill in our contact form.